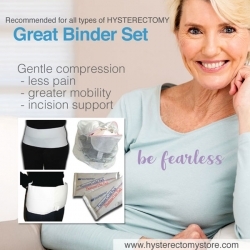 We have made it very easy for you and combined the two best binders for your hysterectomy recovery - and the Silky Sac into a great set to save you money! Compression after a laparoscopic hysterectomy or open abdominal hysterectomy, myomectomy, c-section, appendectomy, hernia surgery, or tummy tuck is helpful to your recovery. Our binders provide support directly to your tummy and back, allowing you to move with less pain and greater mobility. 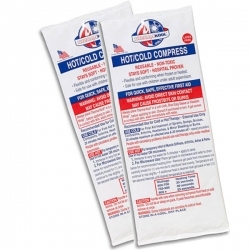 Compression aides to reduce recovery time. Our abdominal binders provide incision support, help prevent tearing, and make it easier to get out of bed, move and walk. In this set you will receive one Abdominal Support Binder, one Perfect Pocket Abdominal binder with 2 cold/heat packs, and a Silky Sac to make washing a breeze. 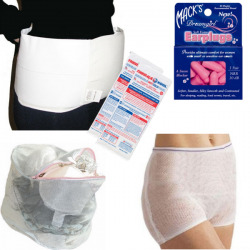 Most ladies wear the Perfect Pocket Binder right after surgery, so they can take advantage of the cool pack pain relief. If you are borderline on sizes, please take post op swelling into account, especially in the Perfect Pocket Binder. 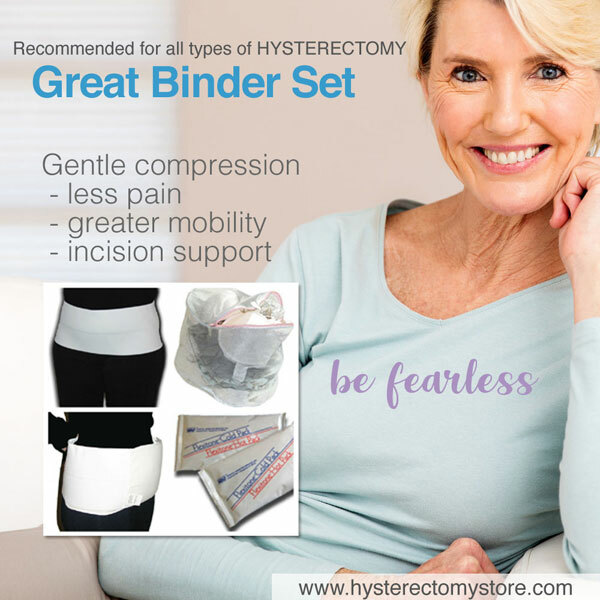 You'll want this binder during your hysterectomy recovery, not only for when you are up and walking around but this is a "must have" for side sleepers, to recline comfortably during recovery. 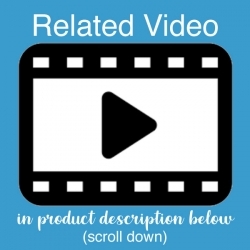 You will love this for the best tummy belly support. We can't say enough good stuff about this product! This binder is great for both horizontal and vertical incisions, as well as for minimally invasive surgery. It's tapered design allows for an even better fit. Measure yourself around the incision area (this will be between your belly button and your hips, not your waist). This pocket abdominal Binder for hysterectomy recovery provides cooling relief and support for your hysterectomy or surgery recovery especially during the first few weeks of surgery. 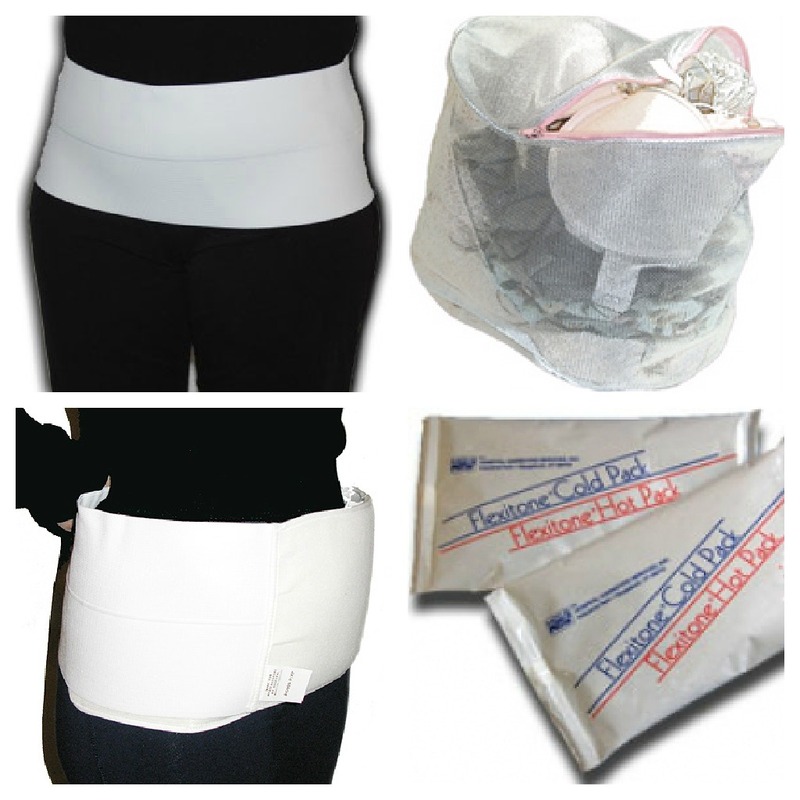 The pocket binder comes with 2 cold/heat packs which provide cooling comfort to your tender belly. Measure yourself around the incision area (this will be between your belly button and your hips). 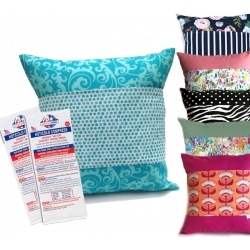 These handy packs are reusable medical packs. Freeze them or heat them and they stay flexible. Freeze in your kitchen freezer for 1-2 hours before using. Heat in boiling water or in a microwave. Apply to your "Owie" for comfort and healing relief. Laundry Care - What makes Silky Sac different? Most washer bags have either an open mesh or rough yarns. Instead of protecting' delicate items, they act like a grate' and actually cause pilling and can snag loosely woven and knitted items. Wash your binders on delicate cycle and keep them protected inside this laundry sack. Buying these items seperately would cost over $77! Read more details on the Silky Sac. I received this item post op TLH, one week and was so thankful! My Dr told me I did not need a binder because I only had a few little scars and was not overweight, which I do not believe is the only reason to use a binder. 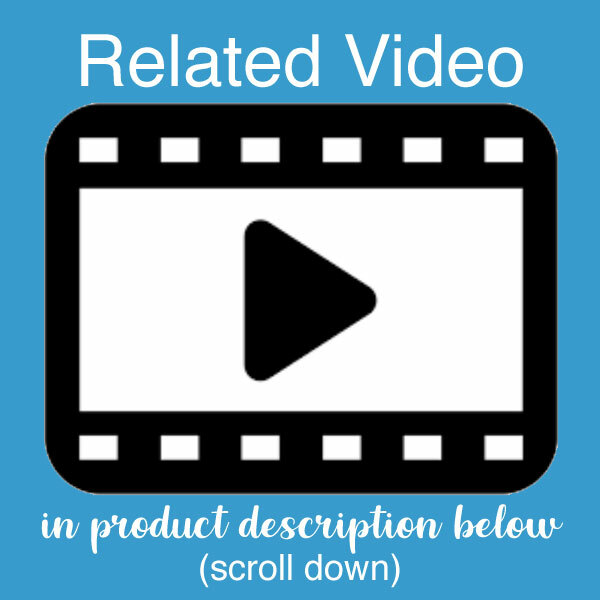 I had a yearning for being "held together"....I tried a local drugstore brand and it was big, rough, awkward and a little comforting but just not right. When I put on this one I purchased from the Hyster-Sister site I felt it was a MUST for needed softness, flexibility and feel good comfort in my recovery. Definitely a perfect fit with the contouring shape, made for a woman's tummy. The "Great Binder Set" gave my internal organs security when they were "reorganizing." With the open space from my organs; uterus, fallopian tubes and ovaries gone, there was a lot of relocating of organ territory and i felt better having something keep my boundaries inside. The ice pack pocket it a total awesome feels right added pampering. When I did not have pampering from my "works a lot" husband and my typical teenage and adult children, I felt pampered by Hyster-Sisters for suggesting it! Thanks Hyster-Sisters for suggesting this, it was worth every penny! I am post op 11 days now and life is so much easier with my binder. I had a long bikini cut and my belly had a roll to begin with. It swelled even more with the surgery and is sore and tender. With my binder it it much easier to get around. No need to hold a pillow or towel to my belly like other places or people suggest. This does the work for me and leaves my hands free. The doctor wants me to keep walking around the house and do some normal activities and this keeps everything firm, but I don't wear it really tight. I bought this a few weeks post op after I'd returned to work at 2 weeks post op and had great difficulty being on my feet and moving around and someone advised me to get an abdominal binder. I initially bought one at a local drug store but it was stiff and uncomfortable. 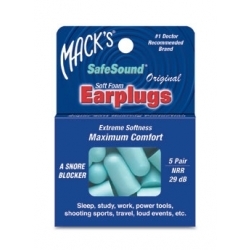 I really like these, especially with the insert that can be frozen (cold feels so good!). What I didn't realize is that both of these binders are exactly the same. I thought they were two different kinds. I really have no use for two binders, especially not two of the exact same one. I do like these better than what I found in the store, though, as they're much more comfortable and look better under clothes. They're also washable. And having the laundry bag is nice too.